Make Garrow previews Wednesday's Charlotte test with Dale Earnhardt Jr., Clint Bowyer and Chad Knaus. Plus, the funniest moment from Champions Week in Las Vegas. Mark Garrow has Carl Edwards who is anxious for this week's Charlotte test and Jimmie Johnson talks about his Awards Banquet speech. Mark Garrow has Jimmie Johnson previewing his championship acceptance speech. Dale Earnhardt Jr. talks about winning his 11th straight Most Popular Driver award. Mark Garrow reports veteran driver Jeff Burton has signed a part-time deal with Michael Waltrip Racing. Mark Garrow takes a look back at Danica Patrick's first full time season on the Cup series. Mark Garrow reports as Sam Hornish Jr. looks for a 2014 ride, his former car owner Roger Penske regrets how he handled Hornish's career, and more. Mark Garrow and Juan Pablo Montoya looking back at Montoya's seven years of racing Cup and what does Richard Petty thinks of Jimmie Johnson? Mark Garrow talks with Jimmie Johnson, who became the first athlete to co-host ESPN's SportsCenter, and Tony Stewart says rehab has been very tough. Mark Garrow reports Matt Kenseth refuses to play the "what if" game. Tonight Jimmie Johnson will be the first athlete to co-host ESPN's SportsCenter. Mark Garrow has the wrap-up from Homestead-Miami Speedway, where Jimmie Johnson captures his sixth Cup title. Denny Hamlin ends his miserable season in Victory Lane. Mark Garrow has Jimmie Johnson, Matt Kenseth and Kevin Harvick, as one of those drivers will be crowned the 2013 Cup champion. Mark Garrow talks with Kevin Harvick and his car owner, Richard Childress, who will race together for the final time Sunday at Homestead. Mark Garrow reports Mark Martin will not compete on the Cup circuit after this season saying he can't outrun Father Time. Mark Garrow has driver Trevor Bayne, who announced he has been diagnosed with multiple sclerosis. Mark Garrow wraps up from Phoenix, where Kevin Harvick wins and Jimmie Johnson has a commanding points lead headed into Homestead. Mark Martin decides to hang up his helmet. Mark Garrow has a Phoenix preview with Jimmie Johnson and Matt Kenseth, who are battling for the championship. Mark Garrow has Jeff Gordon, who says Jimmie Johnson and Matt Kenseth may not look like rivals but looks can be deceiving. Johnson talks about his race prep for Phoenix. Mark Garrow reports Juan Pablo Montoya is in trouble with the IRS. Dale Earnhardt Jr. is excited about his team's performance. Mark Garrow has the story from Texas, where Jimmie Johnson dominated to win and now leads Matt Kenseth by seven points. Jeff Gordon crashed to end his title hopes. Mark Garrow has a Chase preview from Texas Motor Speedway with contenders Matt Kenseth, Jimmie Johnson and Jeff Gordon. Martin Truex Jr. signs with the 78 team. Mark Garrow chats with Jeff Gordon who is battling to catch Johnson and Kenseth in the Chase standings. Carl Edwards on how he deals post-race with a driver he's angry with. Mark Garrow reports Dale Earnhardt Jr. and Brad Keselowski have very different views on a new mandatory baseline concussion testing rule. 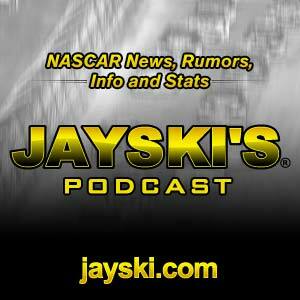 Mark Garrow has Matt Kenseth, Jimmie Johnson and Jeff Gordon on points. Dale Earnhardt Jr. talks about 2014 mandatory baseline concussion testing. Mark Garrow has a wrap-up from Martinsville, where Jeff Gordon drove into Victory Lane and Greg Biffle was cursing at Jimmie Johnson. Mark Garrow has a Martinsville preview with Jimmie Johnson. NASCAR mandates baseline concussion testing, and Dale Earnhardt Jr. explains why it's a good idea. Mark Garrow asked Dale Earnhardt Jr. after Talladega why he now has a career-high 22 runner-up finishes. Richard Petty explains releasing veteran crew chief Todd Parrott. Mark Garrow takes a look at today's Texas test with Jimmie Johnson, Jeff Gordon and Kevin Harvick.